Feminine. Exquisite. Luxurious. 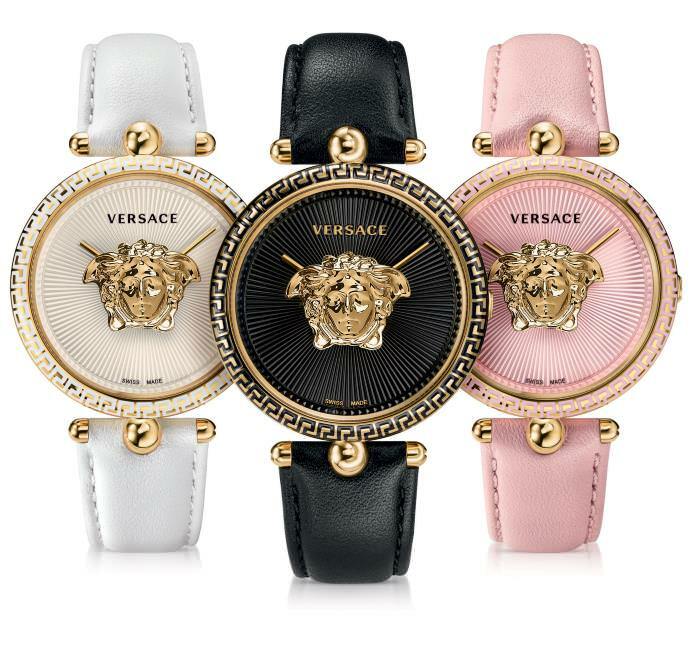 Palazzo Empire is the new Versace watches Icon. Straight from the Versace woman’s Spring/Summer 2017 catwalk, Palazzo Empire perfectly matches the style and design of the accessories’ collection. The bold 3D Medusa Head, which seems to float above the center of the dial, is positioned between two watch glasses, embellishing and enhancing the sunray guilloche dial. The top ring is adorned by an enamelled Greek key design in colors that match the fine, supple calfskin strap. Available in three plain colors (total white, resolute black or a more vibrant pink), it is joined by an elegant total black version.